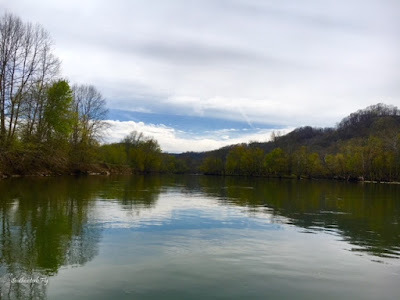 The Caney Fork River- We were able to sneak some trips to the river before and after the last big rain event. The water has been high for the most part and a little stained too. At this time, Great Falls is dumping 25,000+ CFS into Center Hill, so, I would expect some high flows for the foreseeable future. 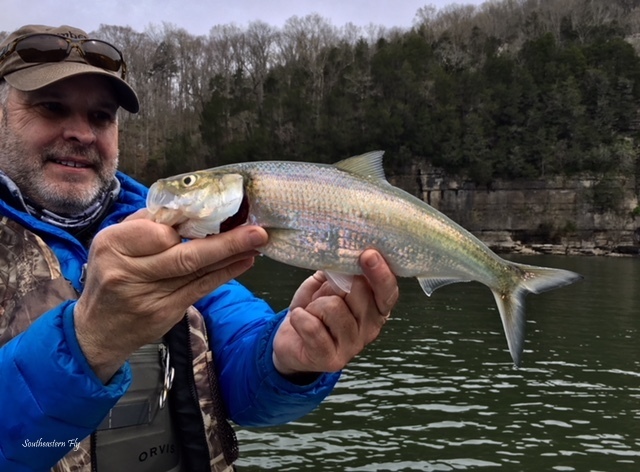 The water has been high and off-color, but the fish have cooperative. We haven't floated a nymph on this river since I can't remember when. 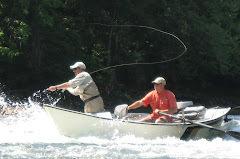 Streamers on sinking lines, launched from the casting braces have been the most productive. One of the best parts of winter fishing, for me anyway, is a chance to catch skipjack. They aren't the classic game fish or anything like that, but they are good old-fashion fun. Also, they are a good warm-up for everything else. The Elk River- We have been on the Elk and this river continues to produce good numbers of fish as well as the occasional nice brown. The water is clear unless the rain comes just before a trip. 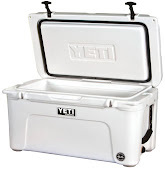 If the water is stained and low the conditions for catching can be tough. If everything is just right can be a really nice day. If you have never done any technical nymphing, and yes there is such a thing, this is the place to learn. There are many different water types and several different techniques to learn on these floats. This is a technical but relaxing river. 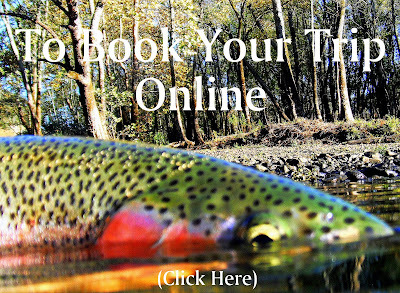 We are booking trips into May on each of the Middle Tennessee rivers with a few April dates left. There are many ways to follow the action from the river. If you aren't following us on Instagram, Twitter or Facebook, all are worth a "like or follow". Also, every Tuesday evening there is Southeastern Fly on Facebook Live. This program gives even more up to date info on local waters as well as other fishing reports from around the southeast. There are also some other things such as polls to vote for your favorite flies, fishing partners, and various other things. It seems there are several things going on to help keep everyone in the loop. We pushed away from the gravel bar and began fishing right away. The fish were tight-lipped for the first stretch. But when we settled into a groove the fish came to the flies and then to the net. We were fishing a couple different nymphs and having decent luck on both. Joe and Scott were matching each other's catch-rate, pretty much fish for fish. The fish were in pods for the most part and if we found one we would find another one in the same area. We kept looking for a nicer fish and kept bringing the stockers to the net. After lunch the fishing became spotty, but Joe and Scott kept after-it. Scott had the front brace and was fishing just off a rock ledge. As I was picking the next fishy looking spot, I felt Scott set the hook. When I saw the bend in the rod, it was obvious this was a little better fish. Scott did a good job keeping the fish in the right place throughout the quick fight. All the stocker action we had throughout the day helped Scott bring this brown to the net both quickly and efficiently. We took a quick picture and released the fish from the net. This was a decent brown and fun to see Scott bringing it to the net. It couldn't have happened to a nicer young man. We made our way toward the ramp and caught a few more fish along the way. We drained the excess water from the drifter and tied everything down. This was another good day aboard the F/V Southeastern Fly. Joe and Scott I am looking forward to the next float!